A federal appeals court ruled Wednesday that Texas’s strict voter-ID law discriminates against minority voters, and it ordered a lower court to come up with a fix for the law in time for the November elections. The full U.S. Court of Appeals for the 5th Circuit, one of the most conservative in the country, declined to strike down the law completely but said provisions must be made to allow those who lack the specific ID the law requires to be able to cast a vote. Nine of the 15 appellate judges who heard the case generally upheld a district court’s finding that 600,000 people, disproportionately minorities, lack the specific kind of identification required — a driver’s license, military ID, passport or weapons permit, among them — and that it would be difficult for many to secure it. African American, Hispanic and poor voters were most likely to be affected, the court found. “It would be untenable to permit a law with a discriminatory effect to remain in operation” for the coming election, wrote U.S. Circuit Judge Catharina Haynes for the majority, made of up five judges nominated by Democratic presidents and four nominated by Republicans. The full appeals court said U.S. District Judge Nelva Gonzales Ramos had gone too far in finding that the Texas legislature had a discriminatory intent in passing the law. But it did find there was reason for her to reexamine the question under more demanding standards. That drew a scathing dissent from six of the court’s judges. The bottom line is that the majority of the 5th Circuit has done what the panel opinion had originally held: there is a remand on the question whether Texas acted with a discriminatory purpose, but there is enough evidence of a discriminatory effect so as to render the Texas ID law a Voting Rights Act violation. BUT, and this is a big but, the remedy is NOT going to be to strike the Texas voter id law as a whole, but instead to fashion some kind of relief that give people who have a reasonable impediment to getting an id the chance to get one. This might be like the affidavit requirement just approved yesterday in the Wisconsin case, or something else (like an indigency exception affidavit). Further, given the timing of the election, the trial court has to craft some kind of interim relief and then can figure out a more comprehensive solution after the next election. BUT, BUT there is a very strong dissent from the 5th Circuit’s most conservative members, and that might give Texas a reason to go to the Supreme Court to try to get this emergency interim relief stayed. BUT, BUT BUT: the Supreme Court has now lost Justice Scalia, and at best Texas could hope for only 4 votes to reverse what the 5th Circuit has done. Indeed, I’m not sure that even Justice Kennedy/Chief Justice Roberts would be on board. If the court ties, the 5th circuit en banc decision stands. (There’s also the possibility of an argument that the interim relief ordered for this election comes too late under the Purcell Principle, but given that the 5th Circuit acted just within the soft July 20th deadline the Supreme Court set, I think the plaintfiffs will be safe in this regard). This is a win for the plaintiffs, no doubt, but not nearly as good as getting the law thrown out for everyone. That’s now two long-running state voter ID battles (Wisconsin and now Texas) with significant legal developments in the last few days. 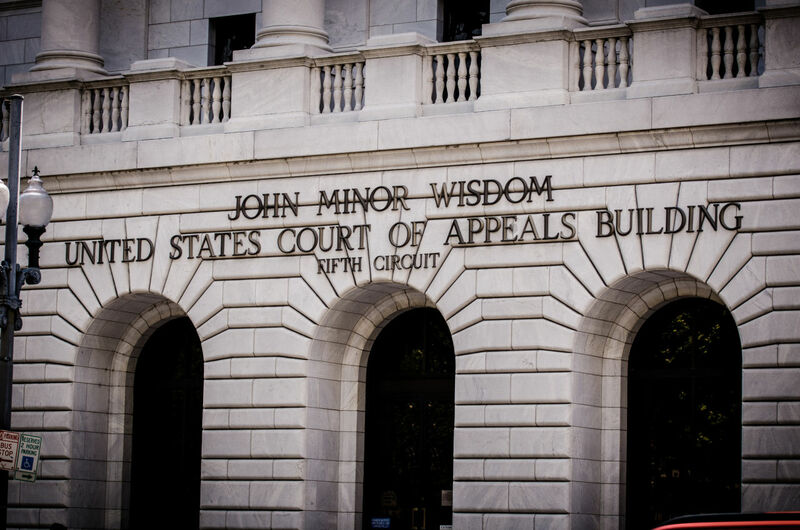 Even without an appeal (which is still a very good possibility), there will need to be further proceedings before the specific impact of this opinion is fully realized. Both of these cases confirm for me that the key issue on voter ID is no longer whether it is proper in the abstract but whether it works they way it should in practice. We will certainly learn more in the near(ish) future about what that means in Texas – both for this fall and beyond. Be the first to comment on "5th Circuit Limits – But Does Not Overturn – Texas Voter ID Law"